Recent years have seen the emergence of transdiagnostic psychotherapeutic treatments, typically targeting depression, anxiety and related disorders. The rationale for developing transdiagnostic protocols is based on a number of factors; shared etiology and maintenance mechanisms, high co-morbidity, hypothesising that discrete disorders may be underpinned by common psychological vulnerabilities, and the burden currently placed on clinicians to master multiple disorder-specific interventions. 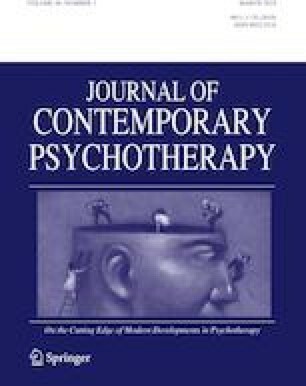 This paper describes a transdiagnostic model of emotion-focused therapy (EFT-T), which combines modular (targeting specific clusters of symptoms) and shared mechanisms (targeting underlying vulnerability) approaches to the treatment of depression, anxiety and related disorders such as obsessive–compulsive and trauma/stressor related disorders. The model proposes that clients’ core vulnerabilities are linked to specific chronic painful feelings, and that these chronic feelings are constellations of sadness/loneliness, shame, and fear-based emotions, idiosyncratically shaped by personal history. The paper describes how EFT-T addresses problematic symptoms but primarily focuses on transforming emotion vulnerability, or Core Pain, by activating adaptive emotional responses, such as compassion and protective anger, to embedded unmet needs. As all hitherto presented transdiagnostic protocols have emanated from within the cognitive behavioural paradigm, the aim of the described model is to increase the choice of evidence-based transdiagnostic interventions available to clinicians and clients.